APPLE GROWERS spend their year trying to grow perfect fruit, and they succeed a remarkable amount of the time. The well-shaped, brilliantly colored, smooth-skinned apple is the norm at most orchards. But nature can be as messy as it is abundant, and invariably some fruit gets nicked or marred along the way. There are many causes of blemishes to apples, and some are cosmetic only. The affected apple is perfectly good to eat, as long as the consumer values flavor over appearance. Take hail damage, for example. A beautiful looking crop can be impacted by as little as 30 seconds of a summer hail storm, leaving small nicks or pockmarks in the apples. If the damage is severe, the apple can split or discolor, and end up in the juice bin. But light hail damage is no reason to reject an otherwise delicious apple. Sun spots are another cosmetic concern, a result of summer heat waves. As with hail, it makes the apple less attractive for eating, but the fresh fruit is not diminished in any other way. 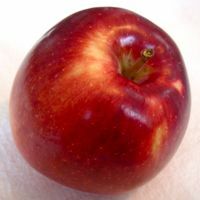 Scab or russeting which appears as rough or raised spots on the apple’s skin has no impact on healthfulness or flavor. The same goes for bruises, which can occur when apples are mishandled between tree and table: they do no harm if eaten and should not deter anyone from the luscious fruit beneath. One more thing: it is always wise to wash your apples and to give them a good shine. But the dull film on most apples straight from the tree is a naturally occurring bloom that helps the apple retain moisture (some consumers mistake it for pesticide residue). What he meant is that his organic apples would likely have black specks, odd shapes, and other imperfections, qualities that most consumers have come to reject. More and more people want to eat healthy, buy local, and support the family farm. One way to do this is to rethink our demand for uniformity in our apples. The Red Delicious apples imported from the Pacific Northwest are famous for always looking exactly the same. But what they gain in appearance, they sacrifice in flavor. If you are willing to overlook the occasional cosmetic flaw, nothing can match the flavors and textures of a wide variety of New England apples, old and new. By accepting the occasional blemish, you help the apple grower as well. 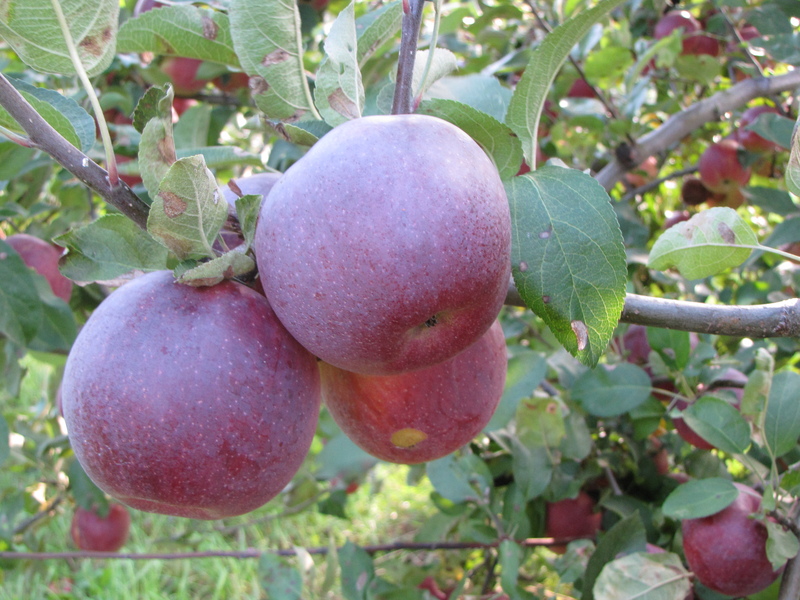 Empire is a gorgeous apple: round, medium-sized, deep red in color, with occasional gold or green highlights. A mid-season apple, it is ready for picking now. Empires have some tartness, but their flavor is sweeter than McIntosh, not surprising since Empire is a cross between a Mac and Eastern Red Delicious. Empires have a juicy, crisp white flesh, and they do not bruise easily. Developed in the Empire state at the New York Agricultural Experiment Station in Geneva, New York, in 1945, and introduced commercially in 1966, Empires are a great fresh eating or cooking apple. Here is a recipe featuring them. Bake at 350˚ for 45 minutes. Cool before serving. APPLE PICKING is in full swing, and will remain so for the rest of October at most New England orchards. 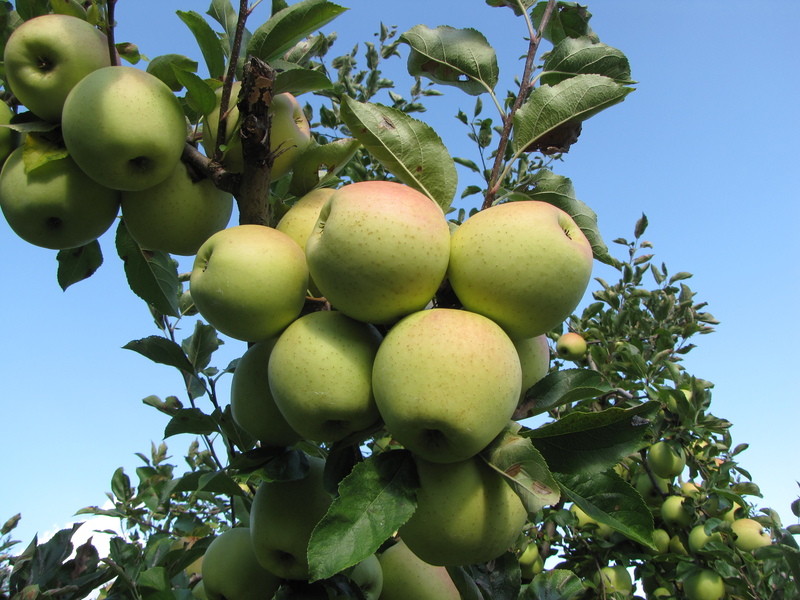 Visit our New England Apples website to find a list of pick-your-own orchards, or those that have farm stands (by clicking the link Orchards By State), and call ahead to find out what’s ready for picking. The short video below provides some suggestions on how to prepare for and enjoy your visit to the orchard.